Cheryl rules the roost in Blossoms 666, and don’t you forget it. Cheryl Blossom needs no help ruling the hallways of Riverdale High at the best of times. But when she could maybe also be the Anti-Christ, too? You better watch your step. That’s the premise of Blossoms 666, the latest in Archie Horror’s ever-growing roster of delightfully bonkers takes on the world of Archie and his pals. 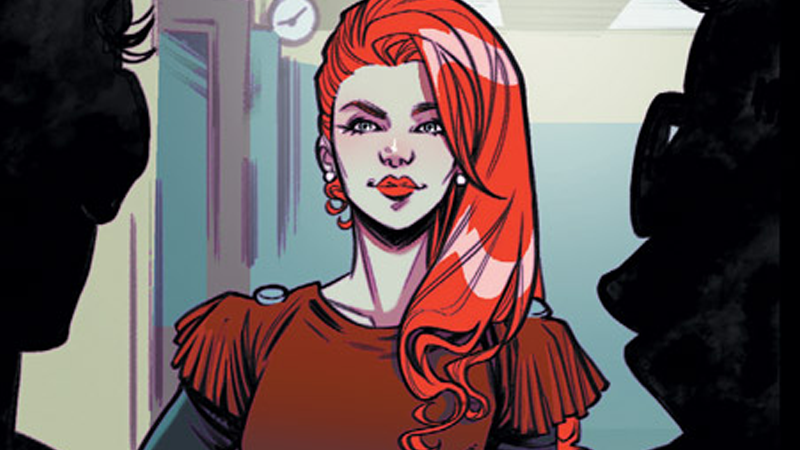 Written by Cullen Bunn and with art from Laura Braga, Matt Herms, and Jack Morelli, Blossoms sees Cheryl and her brother Jason deal with all the same sorts of things regular high school kids deal with—parties, relationship drama, jocks and nerds and the disparate other cliques of school society, the list goes on. But the Blossom kids have another kind of drama to deal with too...one of them was born as the sinister spawn of hell itself, and is actually the Anti-Christ. A collection of variant covers for Blossoms 666 #1. If all that horror goodness wasn’t enough for you, io9 is proud to exclusively debut a new preview of Blossoms 666 #1 below! Blossoms 666 #1 hits store shelves next Wednesday, January 23.